Calling all musical theater junkies who love the limelight! 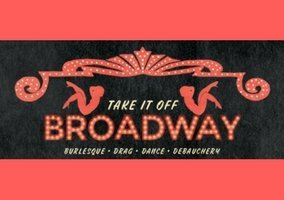 Our Broadway-themed burlesque and variety show is back with fresh routines, extra pizzazz and lots of glitter. 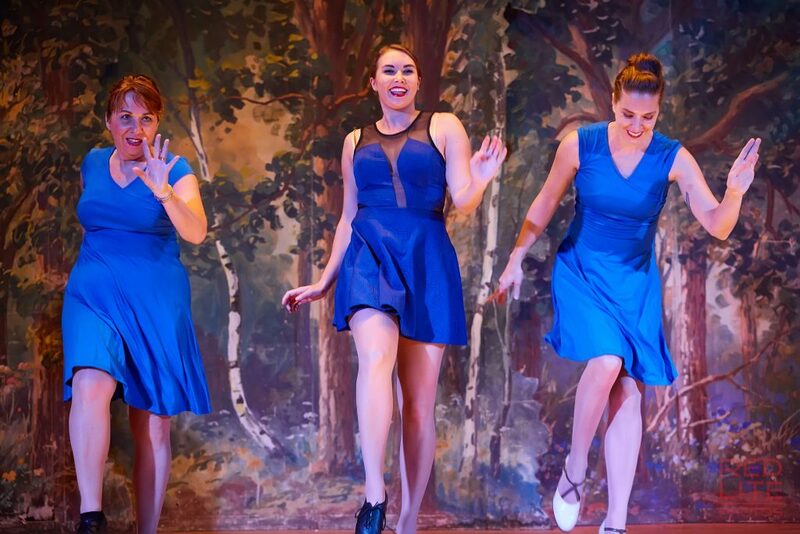 The “Bend & Snap” – a jazz routine from our show last fall. For the March 2019 rendition of our “Take It Off Broadway” collaboration, we’re putting together FIVE (!!!) fabulous group numbers. 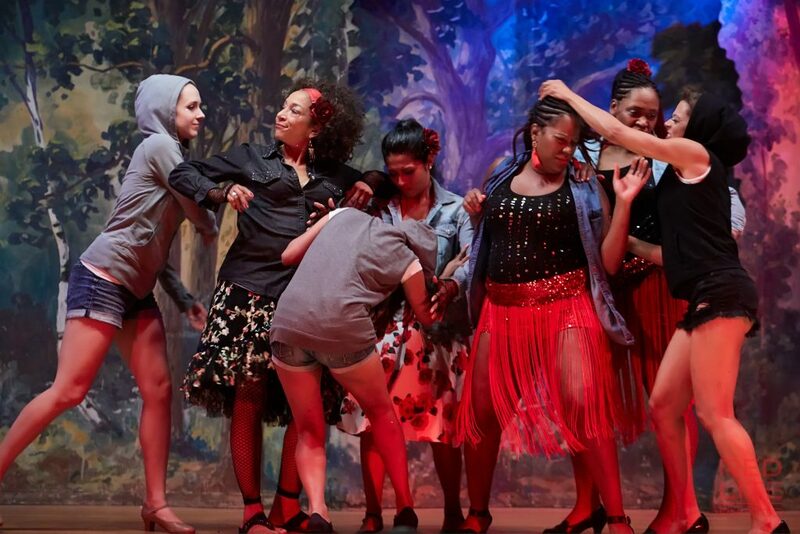 So whether you’re into Jazz, Burlesque, Bollywood or Tap (or all of the above! ), we’ve got the perfect performance series for you! Take your pick of two sassy musical theater jazz routines: one featuring music from Cabaret, the other from Jekyl & Hyde. Or join a high-energy Bollywood number from Bombay Dreams. Or perhaps you prefer to show off a little skin in a burlesque rendition of “Rich Man’s Frug” from Sweet Charity. For tappers, we’ve even got an all-levels routine from Rent. All five finished pieces will be performed at the “Take It Off Broadway” show at the Ruba Club on March 23. No prior dance experience required to perform in the jazz, burlesque or Bollywood routines — the choreography will be designed so that everyone can shine. The tap piece will also be suitable for all levels including beginners, but participants must have tap shoes and at least some basic tap background. For the burlesque number, dancers will be taking off clothing to their comfort level — so no need to worry about getting down to pasties unless you want to! The other routines won’t involve stripping. Space is limited and we’ll need extra time to coordinate costumes, so please pre-register by Feb. 15if you’d like to join us in strutting your stuff onstage! “Rich Man’s Frug” from Sweet Charity: A Fosse-inspired striptease featuring short dresses, high ponytails, white gloves and lots of attitude! A scene from our Sharks vs. 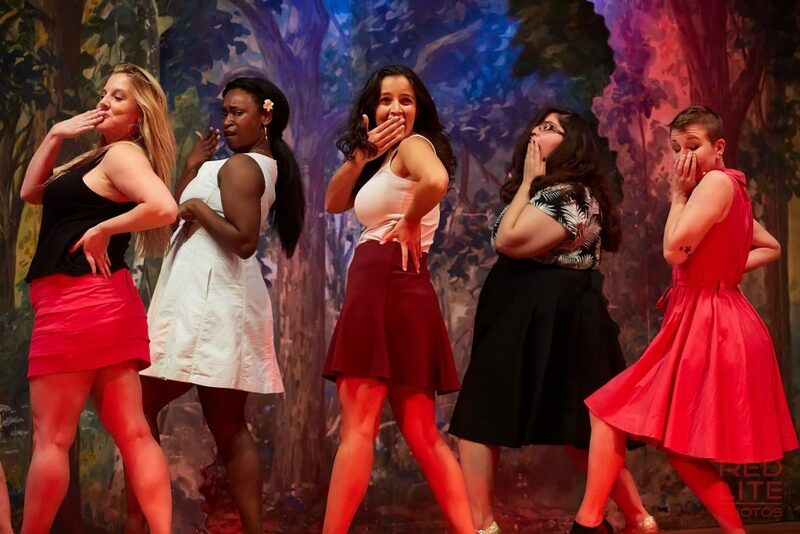 Jets West Side Story burlesque battle at the September 2018 show. 3-week mini series starting March 5. The majority of the routine will be taught during the preceding Tap Technique class at 7:30 p.m. so that even those who cannot perform can join the fun. Those who wish to perform would stay for an additional half hour for the 3 weeks leading up to the show to work out staging and other final touches to the routine. Find more details about the show on this Facebook event post and get your tickets here! Feel the Love: February Prize Giveaways!